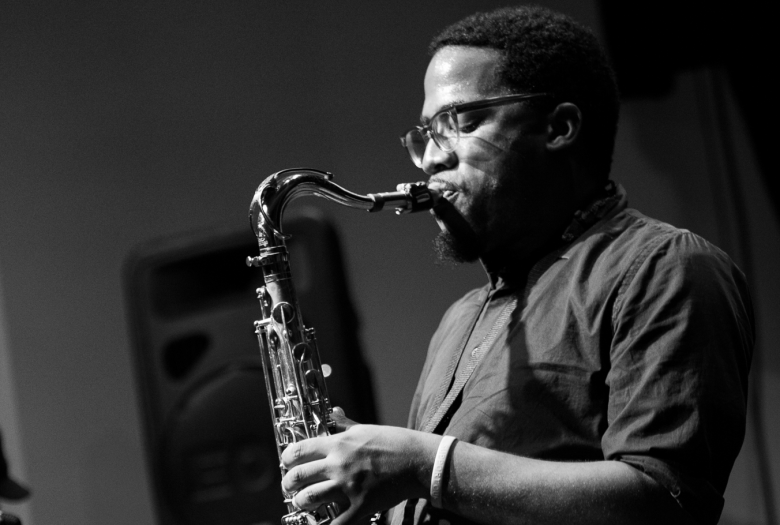 Roulette artist-in-residence James Brandon Lewis presents Heroes Are Gang Leaders, a program of original and arranged works inspired by John Coltrane, Rashied Ali, Cecil Taylor, Sun Ra, and Ornette Coleman. The passing of poet Imamu Amiri Baraka in 2014 was a major loss for various facets of Black Radicalism. A strong figure in politics, culture, and community, Baraka inspired many to follow in his footsteps. Formed from the love and respect of Baraka, a group of poets and musicians, led and founded by James Brandon Lewis and Thomas Sayers Ellis, have come together as Heroes Are Gang Leaders. With a name lifted from one of Amiri Baraka’s stories, the group embarked on a recording session last fall that blended poetry and music to “outishly” echo and honor Baraka’s legacy. In the tradition of the protest song, the group’s style combines jazz, groove, black hollerin with extensions of paged and oral literary text by Gwendolyn Brooks, Bob Kaufman, and Baraka himself. James Brandon Lewis & Chad Taylor is made possible, in part, by the Jerome Foundation.